Ok guys, absolute success tonight for dinner! I believe my kids may have actually (and unknowingly) eaten some onion and bell pepper with the meat…LOL. 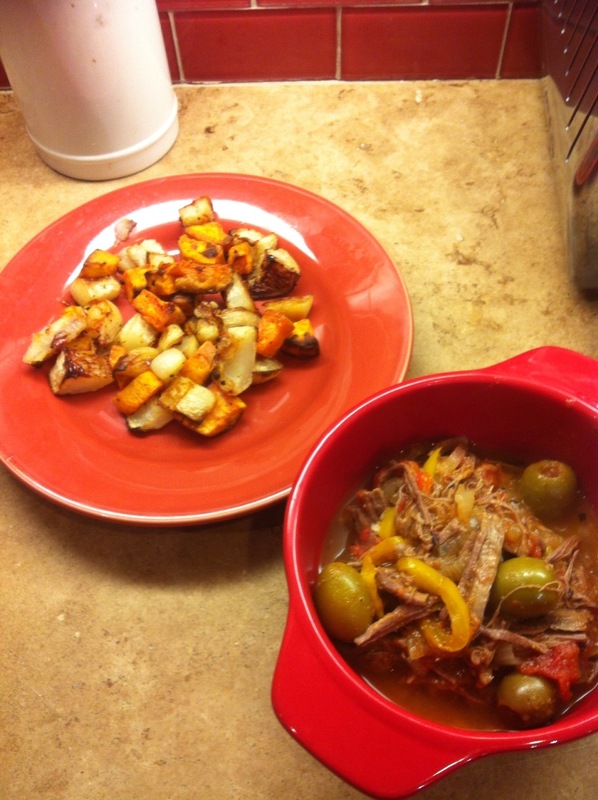 I’ve been cooking this old Cuban recipe for years known as Ropa Vieja (old clothes in English). Funny thing is, this recipe is as good as any I have made and much less labor intensive. Please try it, it is sure to please the whole family. I paired it with some simple roasted sweet potato and turnips…yes TURNIPS!! They are creamier than a potato and Paleo friendly. Get cooking everyone, and post those pictures. Here is a link to the recipe. This looks great, and I have a grass-fed flank steak in my freezer just waiting for the perfect recipe!! I wanted to post a picture of the supper we had tonight, but had technical difficulties. I’ll try again tomorrow, but I wanted to share it because we also had roasted turnips – “turnip french fries” – they were delish! Thanks, Ernie, for the blog and the opportunity to share. I did it, and you’re right, Old Clothes for dinner is delicious! I had to adapt the recipe just a bit cuz I cooked at my mom’s. She didn’t have cumin, so I used ~2T of chili powder and some red pepper flakes, no hot sauce. I also added a chicken breast and we ate it over squash sautéed with yellow onion and basil. Really, really good!